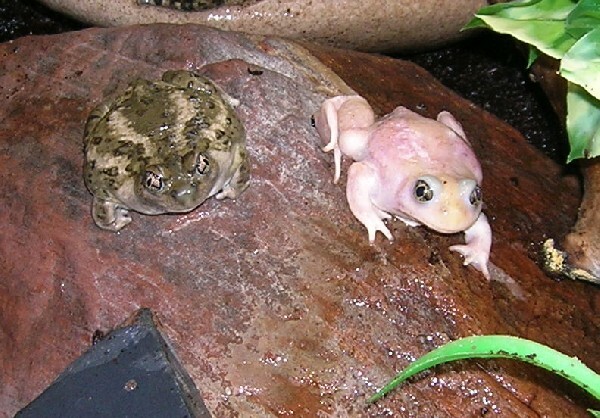 Description: This is a friend's leucistic great basin spadefoot toad next to a normal one. very,very cool!! !where was it found?thanks for sharing!!!!!!!!!! It was found in central Utah.